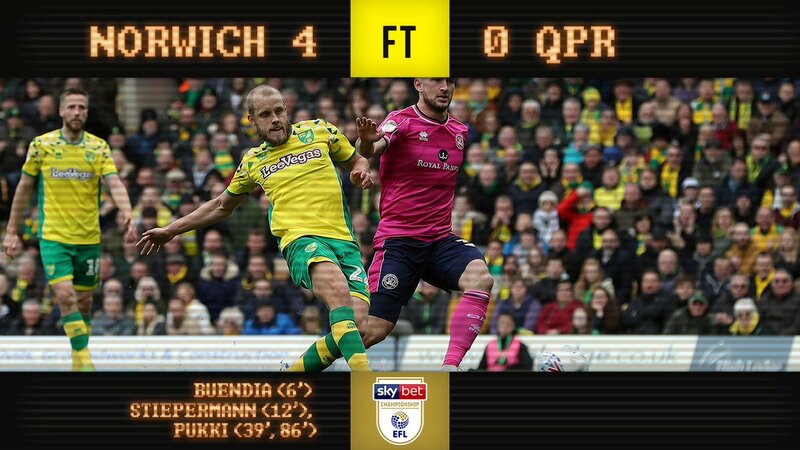 Norwich City look unstoppable as they motor their way to the Championship title. A convincing 4-0 win over QPR extended their lead at the top of the second tier and made it eight wins in a row for the best team in the division. They will be a Premier League side next season but for once, they are going up with serious infrastructure in place and will not be coming straight back down as many Premier League fans would expect. For the past decade, Norwich have been the definition of a yo-yo club. Three promotions and three relegations have meant that life has been anything but dull in East Anglia and having played from League One to the Premier League things have been far from settled at Carrow Road. However, having been relegated from the Premier League in 2016, the club has spent the last three years changing the way they operate. Gone are the big money signings and instead the club has focussed on smart recruitment and player development. Their academy is now producing first team players and it is remarkable that they have their best campaign in years in the season that their Premier League parachute payments stop. At the start of the season, pundits were unsure how Norwich would improve on last season’s mid-table finish given the big money sales of James Maddison and Josh Murphy. However, having made a serious profit off the pitch, they have also gone up a level on the pitch and are now surely Premier League bound. The man who has encapsulated their season has been the Championship’s top scorer, Teemu Pukki. Signing from Brondby on a free transfer he was set to be the understudy to Jordan Rhodes but he has exceeded expectations just a little. He has hit a remarkable 26 league goals this term and bagged nine assists, pressing from the front of this exciting Norwich team. Daniel Farke has implemented his philosophy of high-pressure, possession-based football onto the side and they now have a real identity to take on the Premier League with. You get the feeling Farke will keep faith with the majority of this side next season, given what happened at Fulham this season, and in truth all of them deserve a chance in the top flight. In Jamaal Lewis and Max Aarons, they boast two young attacking full-backs whilst Emi Buendia and Marco Stiepermann provide the magic behind Pukki. Norwich’s home form has been vital to their success this year and it will be once again next season if they are to stay in the Premier League for more than one season. They have now won eight games in a row in the league, a record only matched around Europe by PSG and Man City! This time around things will be different for Norwich City. They will be underestimated next season in Premier League but with the set-up and philosophy they have, they can aspire to be the new Bournemouth. An established, well-run, solid Premier League club. OTBC.